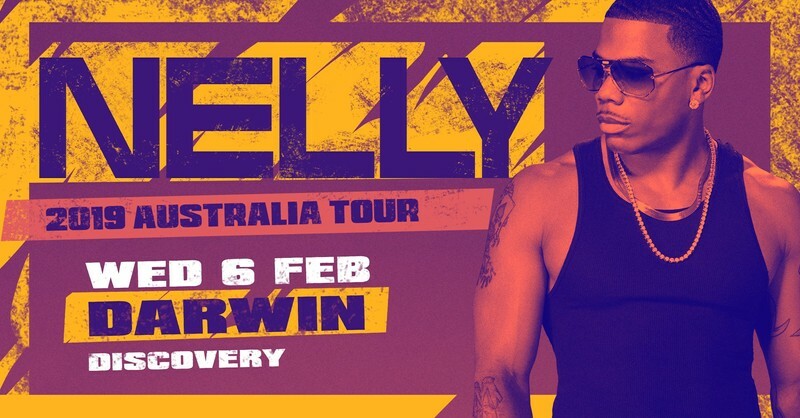 Grammy Award-winning rap icon Nelly will be playing a huge run of headline shows across Australia this February, on top of his spot on the second installment of RNB Vine Days—the ultimate annual summer winery escape. With stops in Sydney, Darwin, Melbourne and his first ever show in Cairns, these shows are not to be missed. There is no doubt it will be getting ‘Hot In Herre’! Hailing from St. Louis, Missouri, Nelly has always had a broad crossover appeal with his pop-rap approach to RNB. His debut 2000 album 'Country Grammar' peaked at #1 on the Billboard 200 Album Chart and #4 on the ARIA Album Chart. It has sold in excess of 10 million copies worldwide and is certified diamond in the US, making it Nelly’s best-selling album to date. Since then, Nelly has put out six more albums, won two Grammys and collaborated with megastars Justin Timberlake, Pharrell, Ciara, The Neptunes and Fergie to name just a few! Nelly has stayed hot on our radios for the past 18 years, putting out iconic jams 'Dilemma (ft. Kelly Rowland)', 'Ride Wit Me' and 'Just A Dream', which have collectively amassed over one and a half billion streams across YouTube and Spotify. Showing no signs of slowing down, his latest single 'Freaky With You (feat. Jacquees)' was dropped last April and already has over four million streams on YouTube. Opening all the shows will be Horizon, Australia’s #1 RNB DJ across the airwaves, clubs and festivals. Breaking onto the scene at the tender age of 16, Horizon (the youngest artist on the bill) was invited to perform on the main stage at Good Life Festival supporting artists such as Dizzee Rascal, Rita Ora & Rudimental. Since then, he has toured the country playing in front of 50,000 people at RNB Fridays Live, as well as touring with support duties for acts like A$AP Rocky, Jeremih, Tyga, Nelly, Big Sean, Ty Dolla $ign and many more. Watch out for tickets and prepare for a series of hot summer nights with the king of RNB himself, Nelly! Presented by Frontier Touring and Illusive Presents.